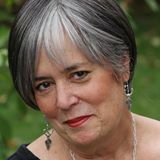 Sue is a Psychic, Numerologist and Human Design Practitioner who offers Readings, enhanced Life Strategy Sessions, and Reports. Her guidance helps others to enjoy a happier life, a better relationship, or a more rewarding career. What you will get from Life Strategy Reading. What you need to do to find a life partner. If you’re in the “right” career. What Numerology and Human Design will tell you. Your life’s purpose, your mission in life. The type of career that would best suit you. How to maximize your assets and minimize the deficits in your life. What to expect in the current and future years.